The 2018 state champion New Palestine Dragons. 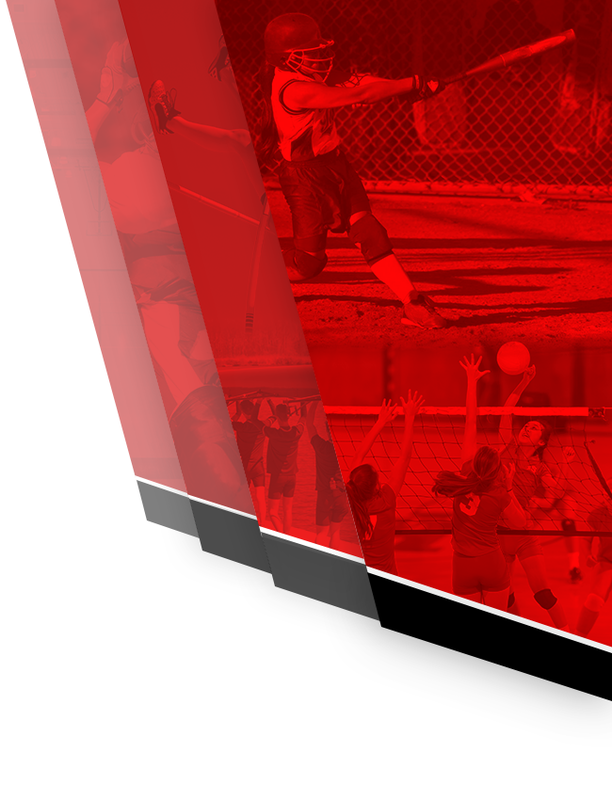 Over the past decade and a half, the New Palestine softball team has established itself as one of the state’s premier programs. 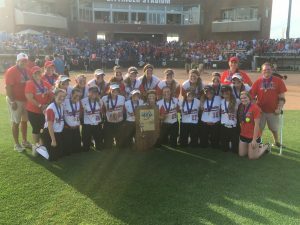 The Dragons added to that legacy Saturday, beating South Bend St. Joseph 3-1 to win the school’s fifth state championship, claiming the IHSAA Class 3A title. 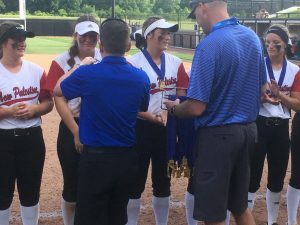 Senior Ashley Prange was named the IHSAA’s Mental Attitude Award recipient, joining Sara Evans, Alyssa Marcum and Elisha Barker as NPHS softball recipients. Alex Neligh has also received the IHSAA’s highest individual honor in football. 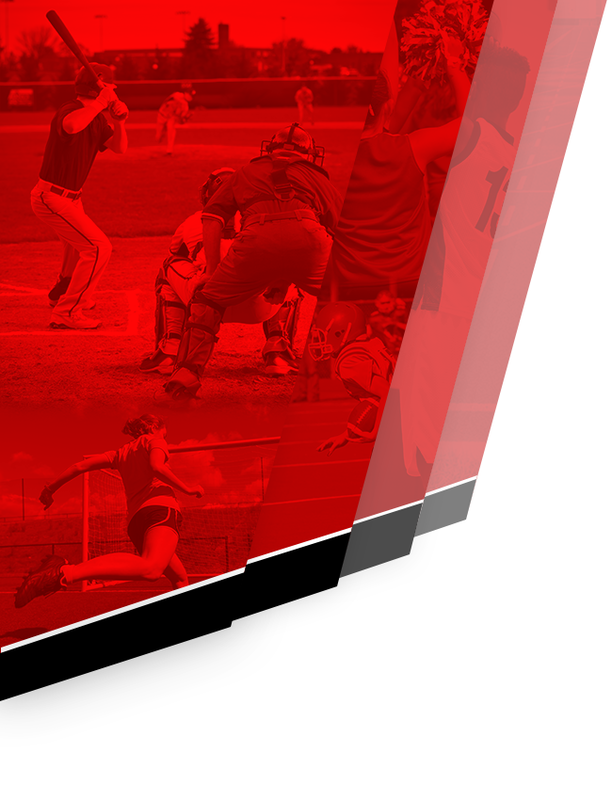 A three-time All-State selection, Prange was earlier named the Gatorade Indiana Softball Player of the Year. The Ohio State signee joins seniors Mackenzie Jones and Rieley Widmann in finishing their careers as back-to-back state champs. All of the seniors delivered with big plays to seal the game. Prange was in the middle of a three-run third inning that gave the Dragons all the offense they’d need. 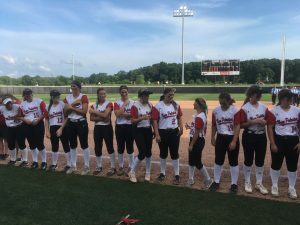 Emily O’Connor delivered a bases-loaded single and Michaela Jones blasted a two-run double to dead center – which missed being a grand slam by inches – to give NP a 3-1 lead. TeTe Hart led the inning off with a sharp single to center. Jaylin Calvert reached on an error when the St. Joseph leftfielder misplayed a flyball in the gap. Prange drew an intentional walk, setting the stage for O’Connor and Jones to clear the bases. It would be all the offense the Dragons would need, as Mackenzie Jones tied her career high with seven strikeouts in a stellar pitching performance. Jones responded by retiring the Indians in order in the fourth, with two strikeouts. She pitched around two walks in the fifth, retiring St. Joe’s top hitter – Megan Welsh – on a popup with two outs. In the sixth, she retired St. Joe in order, leaving the Dragons three outs away. The first came on a flyout to Hart in left. With one out, Widmann made a diving catch to snag a foul ball behind first base to leave NP one out away. St. Joe’s Cassie Swartz kept her team alive with a two-out hit, but Jones got leadoff hitter Grace Quinn to bounce one back to the circle. Jones fielded it and flipped to Widmann to begin the celebration. Michaela Jones was 3-for-3. to lead the Dragons’ eight-hit attack. O’Connor was 2-for-3 with an RBI. Prange was 1-for-2 with a run. Hart and Mackenzie Jones each also had hits. Mackenzie Jones allowed five hits in a complete-game victory. She walked two and struck out seven. She only allowed one hit after the third inning. She joins Sara Evans (twice), Katie Armour and Elisha Barker to win state championship games in the pitching circle for the Dragons. Jones finishes 31-1 for her career. Over the last two seasons, the Dragons have gone 61-3, including 30-1 this year. 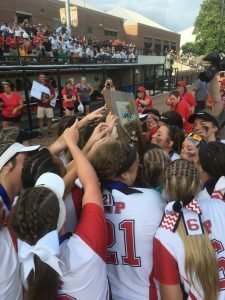 The Dragons’ state title is the program’s fifth – the second-most in IHSAA history. Only Center Grove (six) has more. It also ties Marcum with CG’s Russ Milligan for the most state championships by a coach. 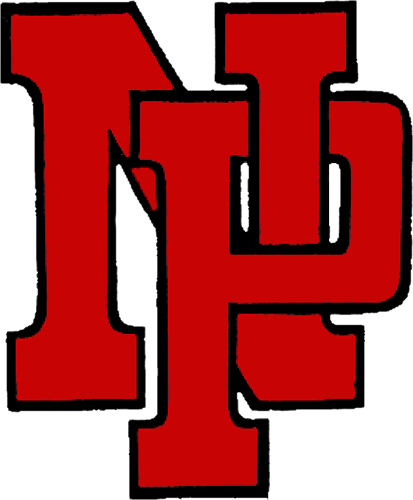 NP also won championships in 2004, 2008, 2009 and 2017 and was a runner-up in 2003. The Dragons await their medals. 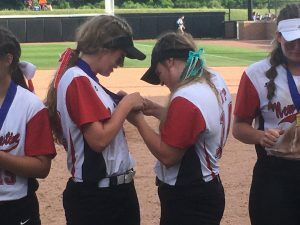 Michaela (left) and Mackenzie Jones enjoy their state championship medals. Emily O’Connor receives her state championship medal. 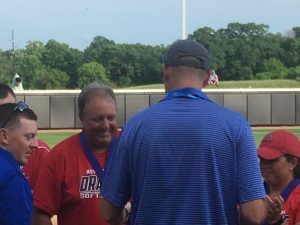 Coach Ed Marcum with his state record-tying fifth state championship medal.